In Order For You To Be Successful In The Business, You Must Be CONNECTED To "The Business"
Working "in class" is only HALF of the process. To become a working professional you must be able to deliver your work ON DEMAND! "who are they and why should I listen to them?" 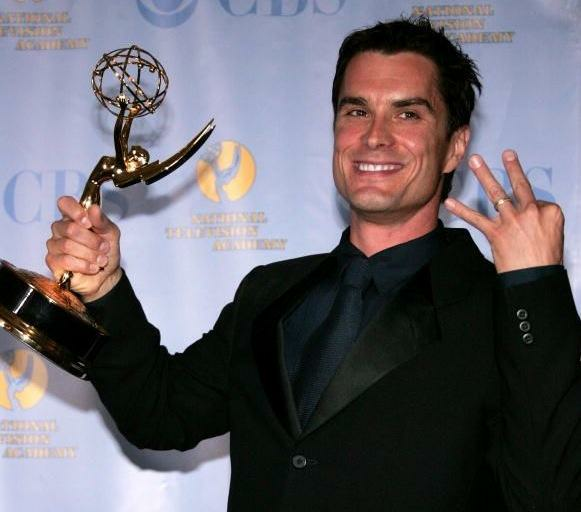 As a working actor for over 30 years in the film and television industry Rick Hearst knows the everyday challenges that make the difference between success and failure in the "business" of acting. Rick was trained on scholorship at The University of Texas at Austin in their B.F.A. Acting program, and Circle In The Square Theatre's Acting Conversatory in New York City, where he was able to be exposed to an incredible cross sectioning of acting philosophies from Stanislavski, Meisner, Uta Hagen, Strasberg to name a few. Rick worked closely with instructors who were working in the industry and artistic disciplines from some of the industries finest in the theatrical world. Drawing on years of applying these techiniques in his own career, Rick was able to find in himself the blend of his own process that incorporated philosophy and practicality. Beliveing that acting is the ability of an individual to identify and bring to life the truth in a character, Rick guides new, aspiring, and veteran actors to discover their own organic, authentic and unique process to create full, complex and engaging characters. Rick has created countless roles from the ground up and is a 3 time Emmy award winning and multiple emmy nominated actor who has the unique perspective of having been on both sides of the ladder of success. Rick has been in "the trenches" of the day to day that is required of the actor in today's ever evolving industry as well as experienced the rewards of celebrity. Today, Rick holds the distinction of having worked on all 3 major television networks as a series regular as well as numerous guest stars. Rick's intimate experience within the mediums of film, television and stage, and being able to create success in each has given him the ability to share with his students the nuances and key elements that will separate them from the pack. The difference between an audition that gets seen and one that doesn't is always the quality. I treat your audition like I do my own. From scene breakdown to initial choices to final take, I will help you create a production quality audition that will have CD's sending you straight to Producers and Directors and BOOKING the gig!